Everything about a wedding has a feeling of romance in it. Even the decoration at the venue adds a sense of joy. These are some pew decorations for weddings that will please even the fussiest couple. There are ideas from very simple to exotic, so you can take your pick. Usually dark wood pews are decorated with pastel colored flowers. 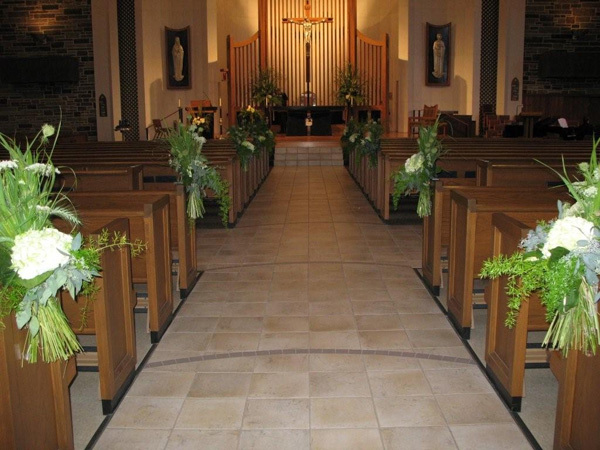 If the pews have lighter colored wood, then a bunch of dark and light flowers can be used to give a stylish look. 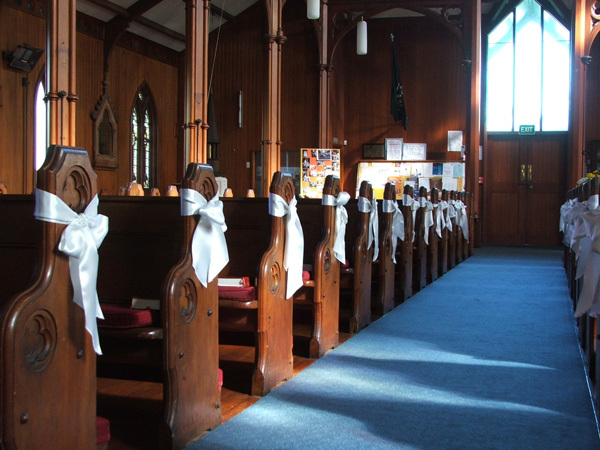 Sometimes, just a long flow of white lace joining the pews together can look absolutely great despite its simplicity. 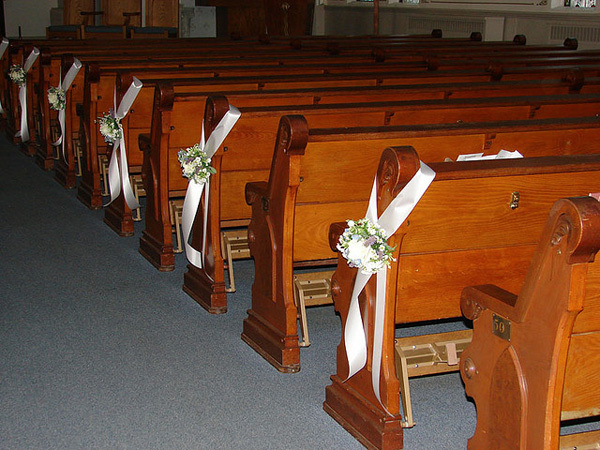 Church pews are decorated with care for every wedding. It has to match the blend in well with the bridal bouquet without clashing. 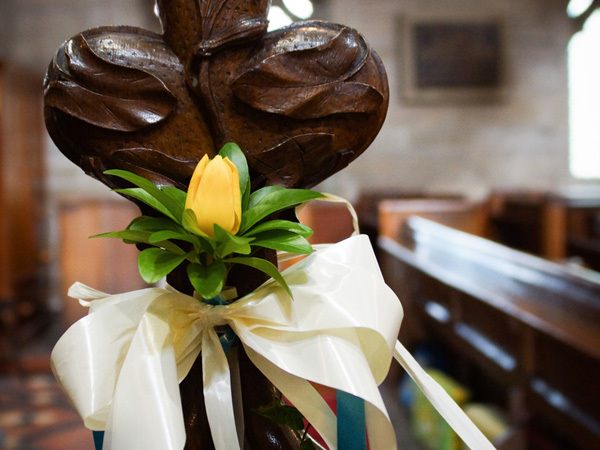 These are a collection of fantastic pew decorations for weddings that are worth copying. There is a variety to please even the most finicky couple in the world. 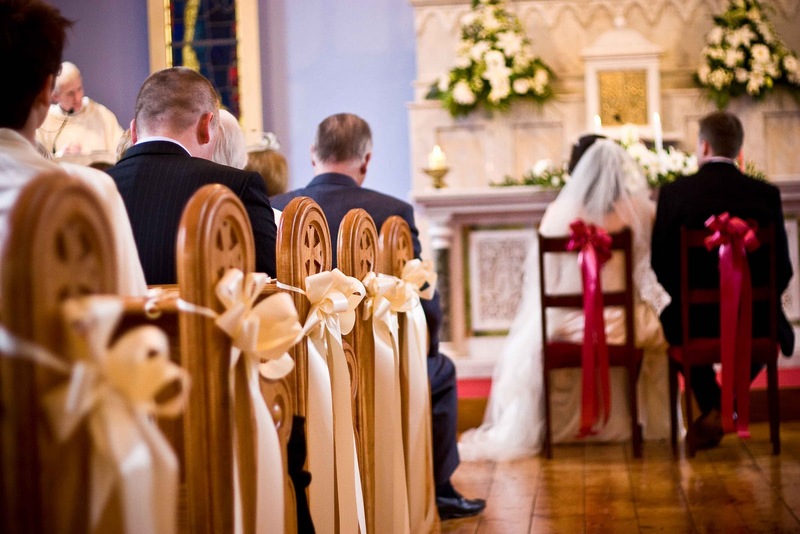 As you will notice, dark wood pews have bunches of flowers in lighter shades or just white. 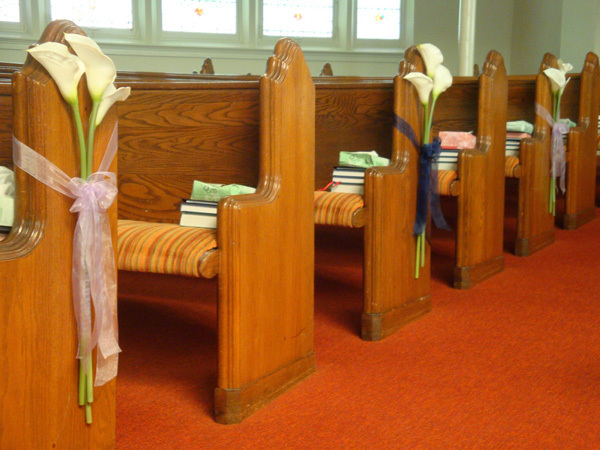 With lighter colored wooden pews, one has the scope of using flowers with deeper shades for contrast. 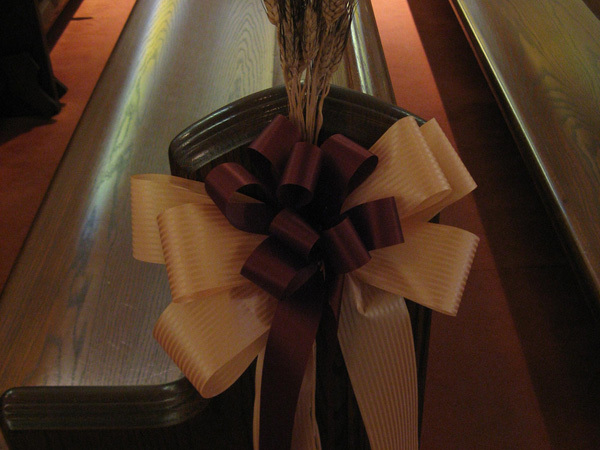 Tying a bunch of flowers together with satin ribbons is the most popular pew decoration. If you like this article, you might be interested in some of our other articles on Baby Boy Room Ideas, Paint Colors for Bedrooms, Paint Colors For Bathrooms and Paint Colors For Living Room. This green and white combination of the pew decorations is a very classy display for a wedding. 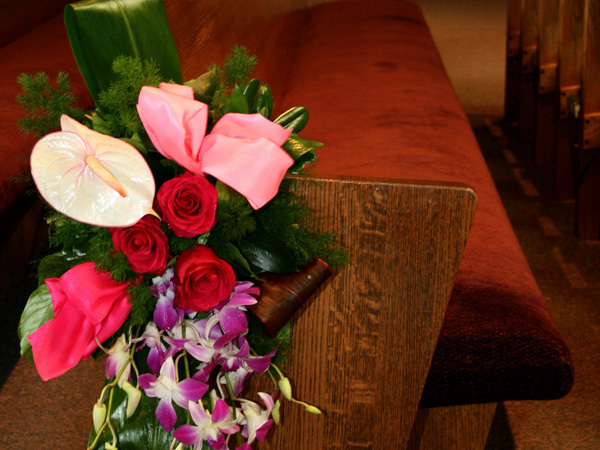 The pink flowers at each pew and continuous pink ribbon is a great idea. This is superb wedding pew decoration. 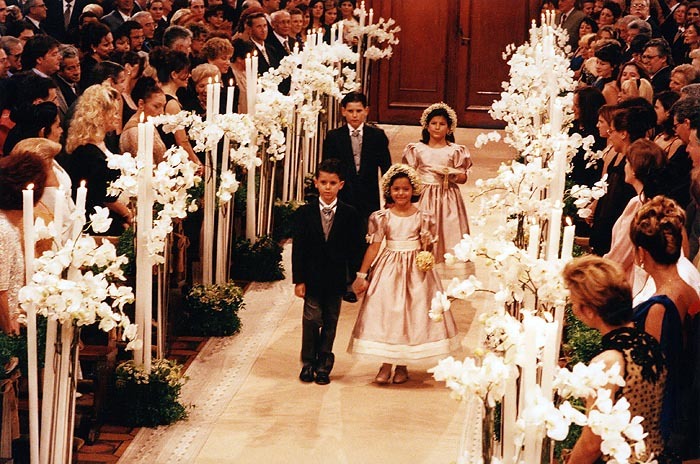 The classic redwood pews look festive with the plain white satin bows. They are just right for a wedding. 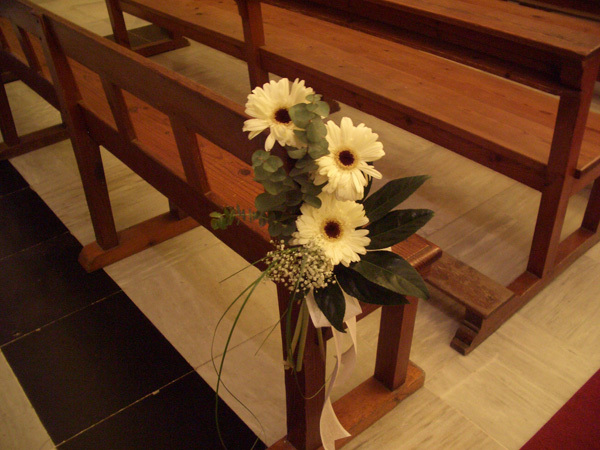 The superb variety of flowers bunched together makes this wedding pew decoration very beautiful. 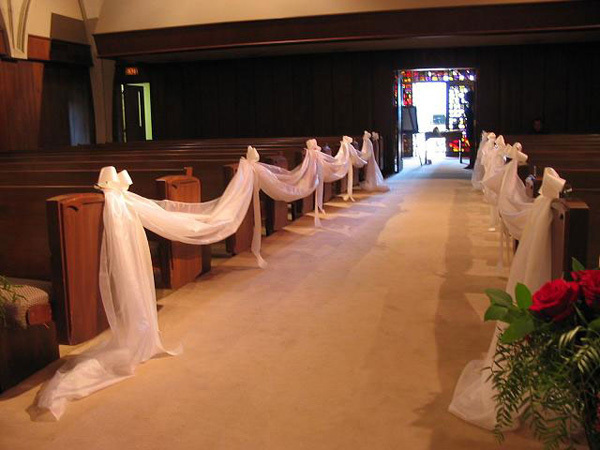 White satin bows tied with bunches of flowers is making the pews look very attractive and perfect for a wedding. 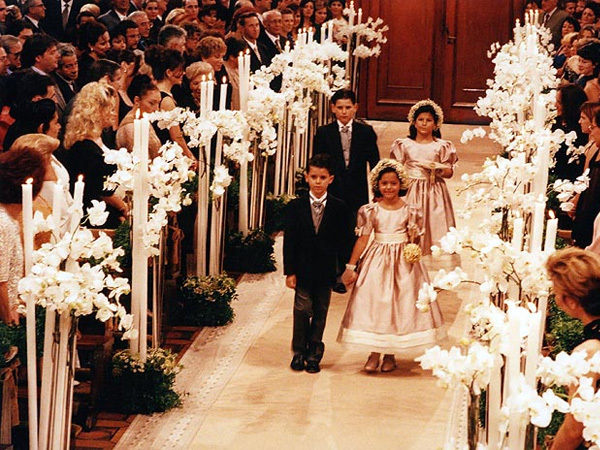 The life-size candles and flowers are a great idea for decorating pews for a wedding. 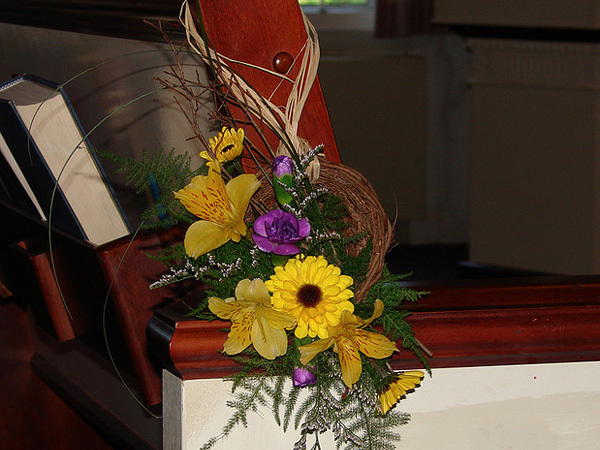 This wedding pew decoration looks fantastic with the pink silk bows and yellow flowers. 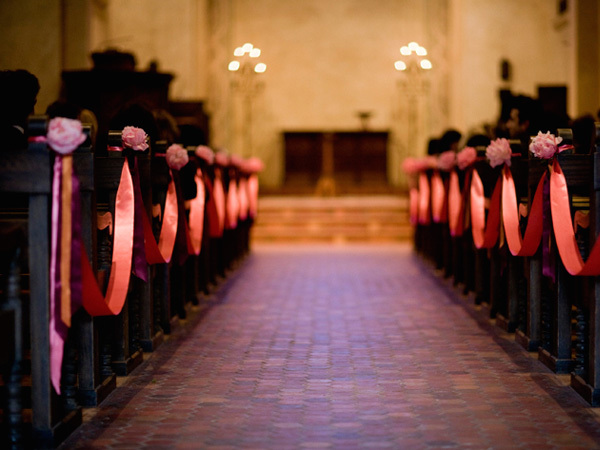 Bows tied in multiple folds is making these pews look very festive and perfect for a wedding. 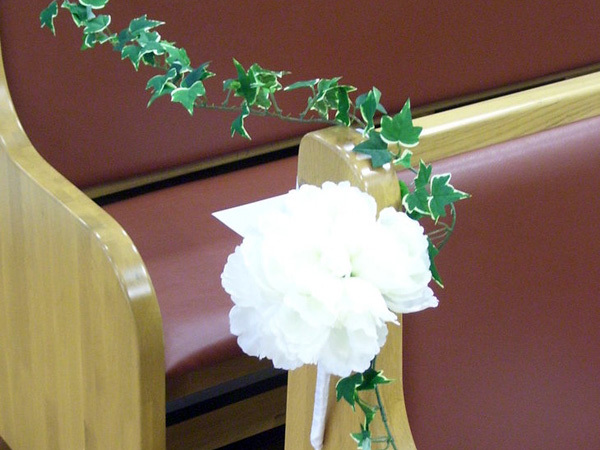 Glorious white flowers and green leaves tied with white ribbon make this an enchanting wedding pew decoration. 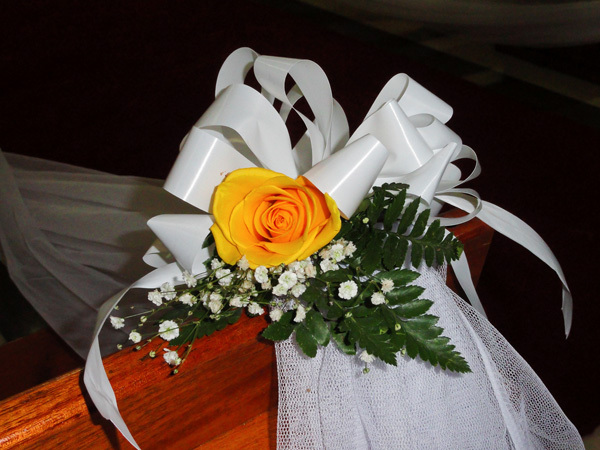 This wedding pew decoration looks fantastic with the large white bow and large yellow bud. This is a simple yet classy wedding pew decoration. Two bows in yellow and chocolate-brown look great together. 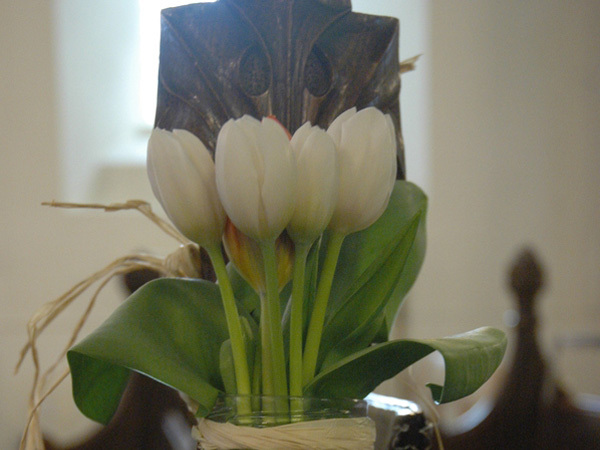 White tulips take center stage in this classy wedding pew decoration. Its simplistic beauty is worth copying. 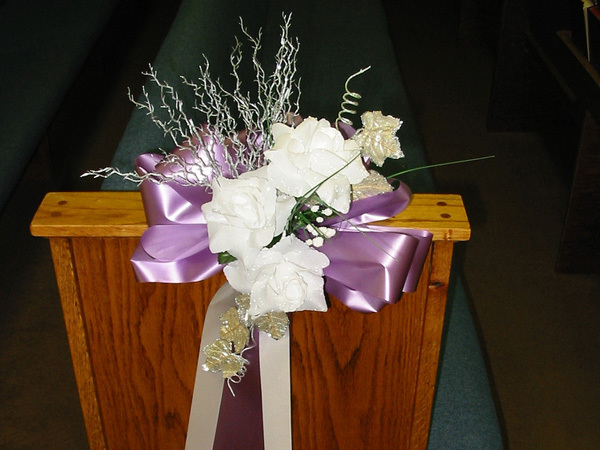 White and purple satin ribbons, a spring of flowers and tinsel makes this a great wedding pew decoration. This is a wedding pew decoration that has an unmatched quality. The orange and white flowers steal the show. This wedding pew decoration is a superlative display of nature. The flowers tied with woven twigs are really classy. 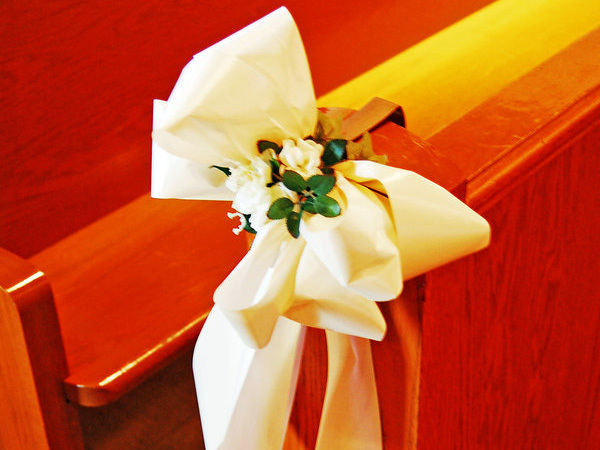 The simplest of white bows is great for wedding pews where the decor is so brightly colored. 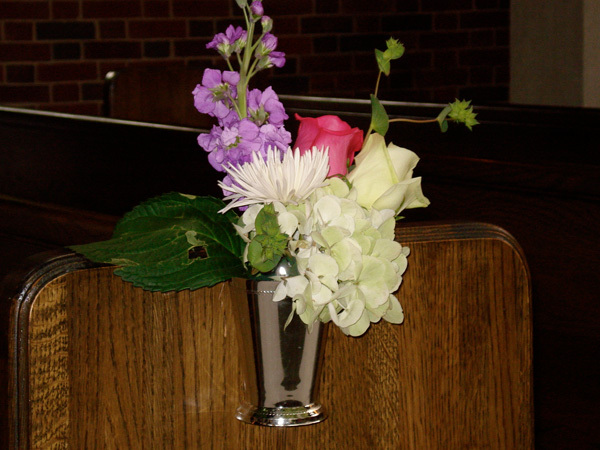 A bunch of flowers in a metal vase hung from the pew makes a superlative wedding decoration. The satin bow is clamped in place with a little sprig of flowers. This wedding pew decoration looks really chic. 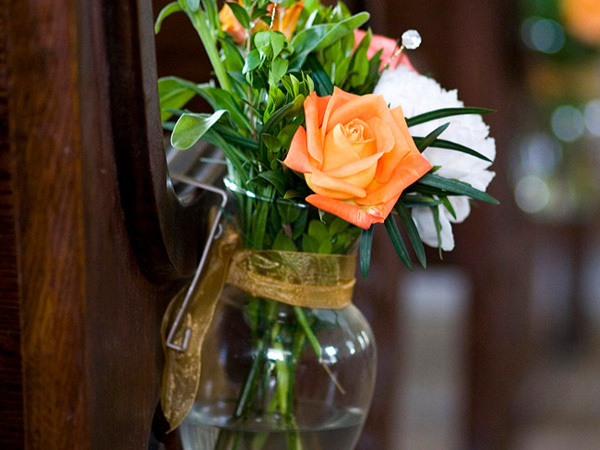 A lovely combination of flowers in a glass bottle makes this wedding pew decoration look very classy. 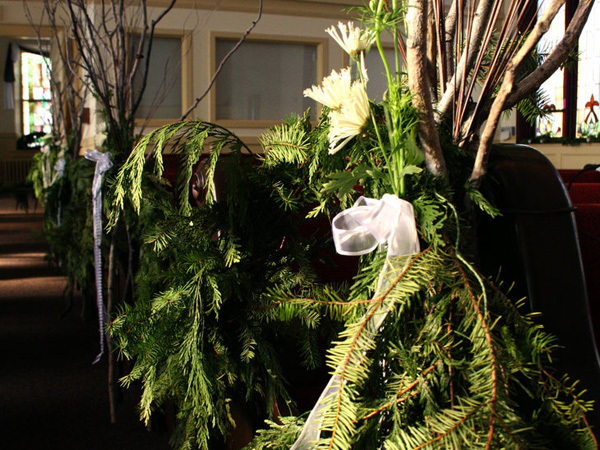 Tall twigs and low vines make this a very unusual and stylish wedding pew decoration. 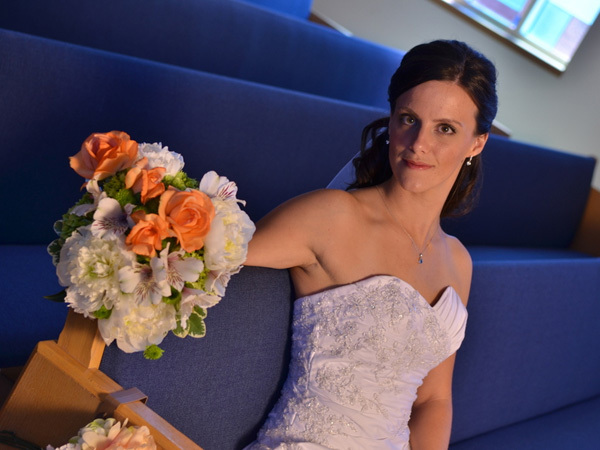 A sudden glimpse of a bright orange rose makes the traditional white satin bow look great as wedding pew decoration. Just a simple white flower with a continuous creeper makes this wedding pew decoration worth copying. 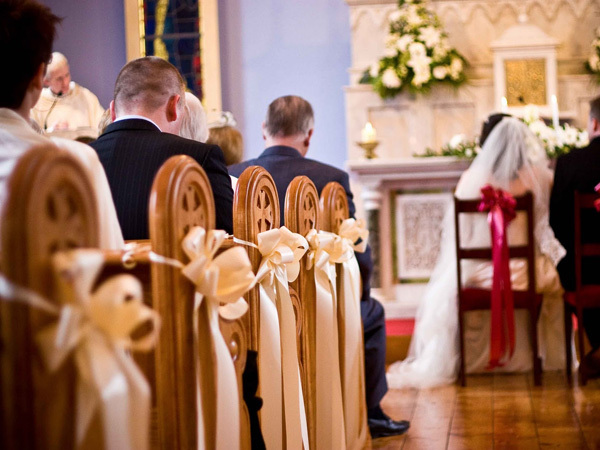 White lace is tied in a continuous stream with satin bows making this a great wedding pew decoration. 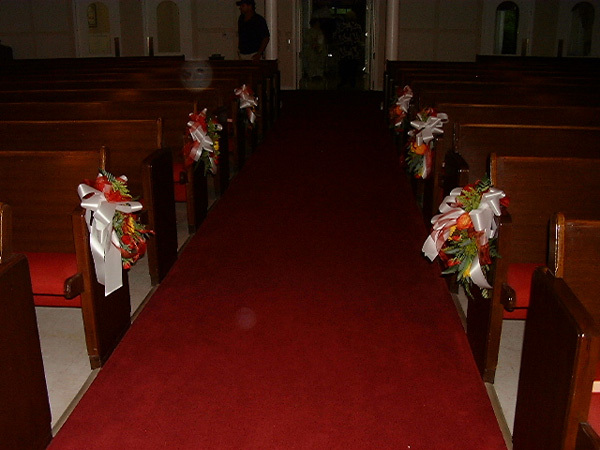 The white satin bows contrast very well with the red carpet down the aisle in this lovely wedding pew decoration. 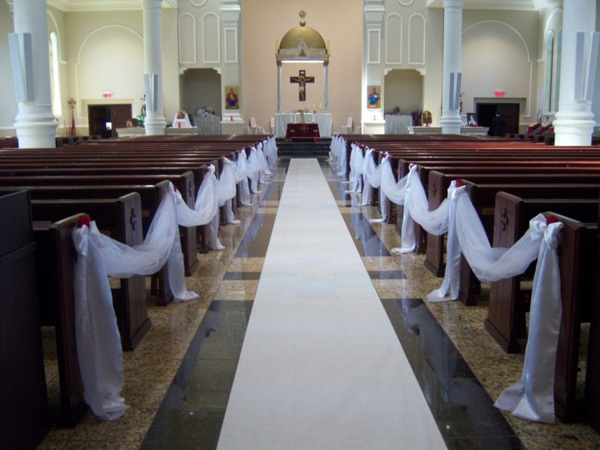 With dark wood pews, this all white combo of pew decoration and carpet looks just perfect. Nice, very nice pics, these will be great inspiration for those arranging a wedding too. Awesome collection. I like all the pics of ideas showcased here especially the ‘Tied Together’ idea. 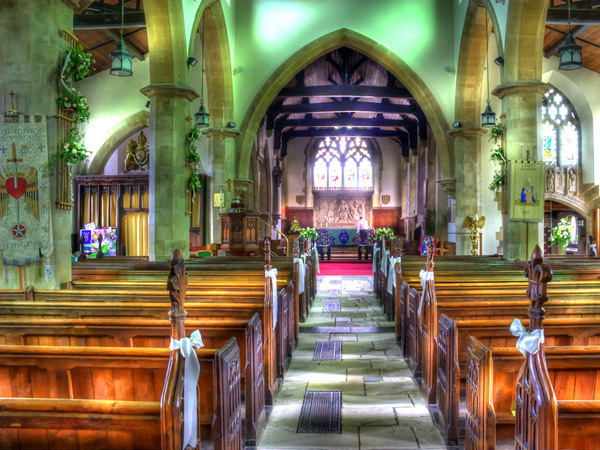 Awesome collection of pew decoration pictures. Nice share.